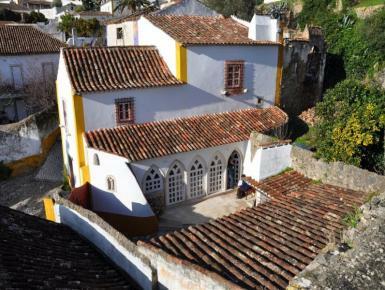 Obidos Castle is an important part of Portuguese history and has a fascinating past. Tourists flock to the busier areas of the castle that feature excellent restaurants and shops, but this house is tucked away in a beautiful and peaceful corner. The castle hosts a number of festivals throughout the year including the International Chocolate Festival and The Medieval Fair, as well as a number of music and art events and antique and organic markets. Nearby there is a plethora of entertainment with world-class golf courses, beautiful mountain biking country, top surfing and leisure beaches, the Obidos Lagoon, local vineyards, lovely forests, and many stunning examples of architecture including monastaries, churches and other places of historical interest.